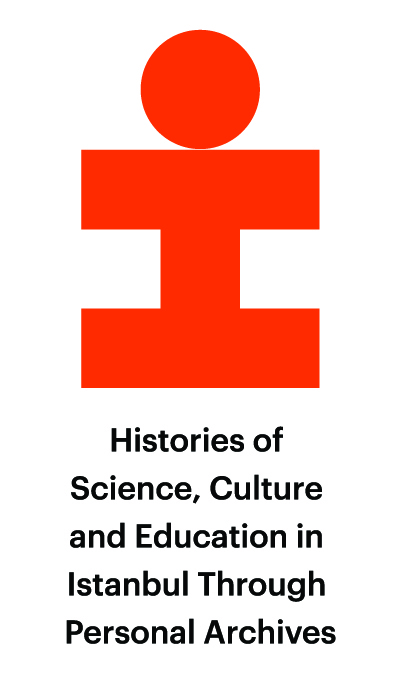 Our project, "Histories of Science, Culture and Education in İstanbul Through Personal Archives" (TR10/16/YNY/0089) is supported by İstanbul Development Agency's (İSTKA) "Innovative and Creative İstanbul Financial Support Program". The project involves the classification, cataloging and digitization of archives and collections acquired by or donated to Boğaziçi University. It will result in the opening of archives to researchers via an online platform. The project is expected to last one year, from December 2016 to December 2017. İstanbul, as a port city and the capital of different empires throughout centuries, housed many different cultures, and with its constantly changing social and cultural life has been a center of attraction for many different social groups. In the 19th century, as the modernization reforms of the Ottoman Empire gathered pace, İstanbul became an internationally renowned city in terms of science, culture and art, and the city's multicultural, multilingual and multireligious structure grew in significance. The different lifestyles, as well as trade and cultural life, rendered İstanbul a wealthier city, and to trace the marks of these riches is of utmost importance. 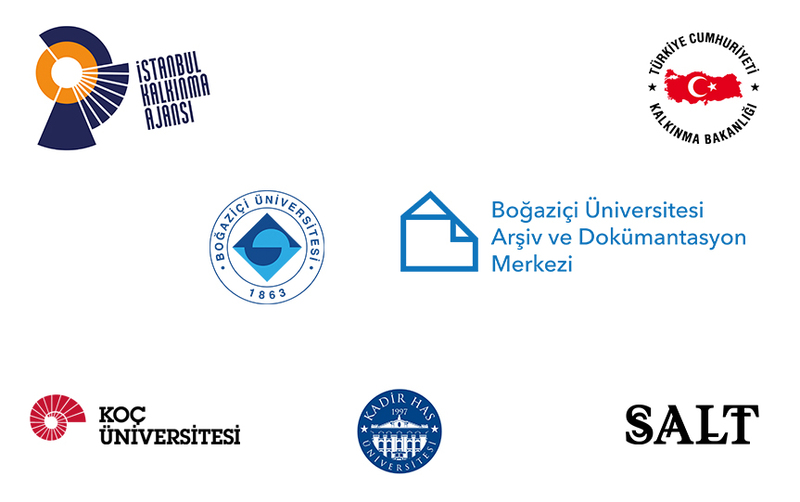 Our project aims to classify, catalogue, digitize and open to researchers—in accordance with the protocols signed with the donors—the seven (7) archives and collections housed at Boğaziçi University, which offer valuable materials pertaining to scientific, cultural and educational developments that took place in İstanbul. We aim to preserve these materials in accordance with the universal standards pertaining to the protection and preservation of archives. The overall objective of the project is to improve the local and international cooperation with other organizations and render İstanbul a center of academic attraction by making visible and sharing the documents which will contribute to the preservation of the city’s memory and identity. For more information about our project, you can review our project booklet. The project is being conducted with the financial support of İstanbul Development Agency (90%) and Boğaziçi University (10%). The budget spending is distributed among different items including human resources, material and equipment provision, archival and preservation material provision, visibility projects and translation costs. Our project involves the collaboration of four partner institutions including Boğaziçi University, Koç University, SALT Research and İstanbul Kadir Has University. In choosing these partners, the previous works conducted by these institutions and their future visions have been taken into account. SALT Research, with its comprehensive library, has been a pioneer in digitization, cataloging and opening to researchers the private collections and has inspired many different projects. SALT Research Center seeks to tackle critical issues in visual and material culture as well as to develop innovative programs for experimental thought and research (See SALT Research 2015 Booklet), and will bring together comprehensive resources, connect different knowledge fields and play an active role in shaping historiography with the intention of contributing to local and regional memory construction. So far, over two million documents have been digitized and opened to researchers at SALT Research. In addition, many exhibitions have been organized and a number of digital books published. In this process, SALT Research will contribute by offering consultation and technical support in procurement of technical equpiment, establishment of infrastructure and digitization. Koç University's support will involve consultation from the faculty members of its Archaeology and Art History Department and its History Department. Koç University ANAMED ran a successful İSTKA project to create the Beyoğlu Library Platform, which brings together Research Centers in Beyoğlu. It is important that ANAMED project developers share their experiences in this process with our project team. Additionally, partnership with this research center is valued since the collections that will be catalogued, digitized and opened to researchers within the scope of the project can also attract the interest of ANAMED researchers in the fields of archaeology, architecture and art history. During the project, talks and seminars will be organized under the collaboration of Boğaziçi University Archives and Documentation Center and Koç University ANAMED. Valuable contributions and advice will be provided by Professor Murat Güvenç of İstanbul Kadir Has University İstanbul Studies Center, who has worked on the social geography of the cities and has produced very successful projects on this issue, and Sibel Bozdoğan, Professor of Architecture History in the Republican Period. The contents of the collections are in line with the work that the İstanbul Studies Center and members of the board of directors are planning to conduct. In addition, these collections have the potential to create a separate pool of resources for the İstanbul Study Centers scholars. The consortium consisting of these partner institutions will undertake successful works within the scope of this project through academic cooperation and coordination. The process and outcomes of the project do not concern only its active partners. Boğaziçi University wishes to collaborate with other research centers, universities, non-governmental organizations and public institutions in İstanbul that will contribute to the project in the course of the project's implementation and promotion. If the project is successful, it will contribute to an increase of İstanbul's global prominence and will promote the development of academic tourism. Also, when we think about the contents of collections, the project offers new avenues in the fields of education, science, art and culture. These developments, which will be experienced on a national and international scale, can be regarded as positive developments for the Ministries of Development, Culture and National Education. In addition, the collections that are worked on should be considered together with the information provided by public institutions such as the General Directorate of State Archives, Atatürk Library, National Library. It is also highly probable that future collaborations with private institutions such as the French Institute for Anatolian Studies in İstanbul, the Orient-Institute, the German Archaeological Institute and the İstanbul Research Institute will take place. These public and private archives and research libraries have intertwined materials that relate to each other. Boğaziçi University aims to be a part of this archive and library ecosystem and to produce new academic and popular studies with these collections that are already donated to or will be donated in the future to the university. Researchers who want to conduct research in Boğaziçi University Archives and Documentation Center need to make an appointment by mailing to arsivmerkezi@boun.edu.tr. Our center is closed between 12.00-13.30 and on official holidays. Please leave your personal belongings at the entrance. You can bring only the following items to the research room: pencil, notebook, personal computer, telephone, tablet. Please indicate your name/surname and research topic on the registration form provided at the entrance. You can reach the archive's catalogue via computers. To request a document, please note the call number of the document and hand it to one of the staff members. You can consult our staff for more information. You can at most ask for 10 documents at a time. Once you hand in the first lot, you can ask for new documents. We kindly request you to note the call numbers of the documents that you use on the back page of the registration form. You can use your camera to take a copy of the documents. Please wear the gloves provided by the staff members while working on the documents. Please do not place back the documents after use and hand them over to the staff members. There is Wi-Fi access at the center. You can consult the staff members for more information. Please use the below formats when referencing the documents that you obtain from the Center's collections. Researchers who utilize the collections are obliged to send a digital copy of their work to the Archive and Documentation Center. “Title of the document”, Columbia University, Rare Books and Manuscript Library, Robert College Records, box no, file no, document no. “Title of the document”, CU-RBML, Robert College Records, box no, file no, document no. When referencing documents from the Columbia University, Rare Books and Manuscript Library, please indicate that you have obtained these documents via Boğaziçi University Archives and Documentation Center.